Well, I suppose I always knew that it was logically possible for England to become a tyrannical third world socialist tinpot dictatorship. However, it’s still been emotionally quite a blow to realise that we’ve now officially sunk down to the same ignominious level as North Korea. When I grew up, we entertained the generally accepted idea that to be born an Englishman was to be handed a life-long Willy Wonka golden ticket in life’s mysteriously complicated lottery. Yes, it rains here a lot. Yes, our main culinary condiment is ‘Brown Sauce’. And yes, the rapid decline of our Empire took a huge amount of wind out of our previously billowing sails. But there still remained something about this England, this glorious England, that felt special. Other countries might stoop to holding political prisoners and arresting people simply for either being who they were or for being in the way, but that would surely never happen here in Jolly Old England? Instead, it was our God-given duty to constantly help the world to become a freer and better place! Even when our overlords did have occasional troublesome priests murdered, that was because these kings were really Johnny Foreigners (Norman-French, for the most part), rather than true-born Englishmen with thick English blood running through their manly veins. And so the mythos grew over the centuries that this glorious Sceptred Isle would always remain unsullied. We see it in the enduring James Bond movies, we see it in the celebration of St. George slaying the dragon, and we see it within our entire literary tradition from Shakespearian plays onward, via Sherlock Holmes, and right the way through to the eponymous Mr Harry Potter and his trials against the fascist would-be world dictator, Lord Voldemort. However, now we have our own fascists in charge at the Ministry of Magic, particularly Amber Rudd at the Home Office, and Theresa May, in 10 Downing Street. And there seems very little we can do to remove either of them, politically, and even if we could, their likely replacement, Mr Jeremy Corbyn, would perhaps prove even worse. A very sad week indeed to be an Englishman. I think we therefore stand at a crossroads. 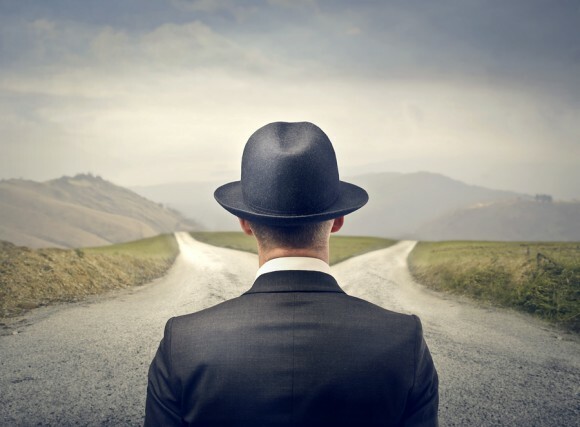 We must now think about what we can do next, as individuals, Misesians, and maybe even as people who know people in Parliament, to ensure that the correct road choice is selected as to where we go next. However, if Amber Rudd and Theresa May were to get thrown out of office by the Parliamentary Conservative Party, to disappear into well-deserved political obscurity, I think that at least would be a good start.